With so much information about CBD emerging, how can you separate the best data from studies that only appear legitimate? We’ve compiled some of the most in-depth, groundbreaking CBD research, compiling the information you need to know, in an easy-to-understand rundown. Learn the most important data to be an informed purchaser and consumer of all CBD products, today and every day. While CBD may seem like a fairly new breakthrough in science and medicine, the history of CBD, and cannabis in general, dates back as far as 5000 years ago. It was then that use of cannabis recreationally, medicinally and in religious ceremonies was first recorded. The Ancient Egyptians mention using hemp to reduce pain and inflammation and Queen Victoria famously showed her fondness for cannabis as a treatment for menstrual cramps. At one time, dried cannabis leaves, seeds, and stems were considered one of the 5 Sacred Plants of India and were used medicinally and as an offering to Shiva. While being used throughout the world, it wasn’t until much later that the CBDs specific cannabinoid structure was identified. Chemist Roger Adams is credited with discovering the structure but, even then, the magnitude of what he had identified was not known. Years later, his research was recognized and expanded on. Since then, there have been numerous studies that have explored CBD’s structure and its uses. 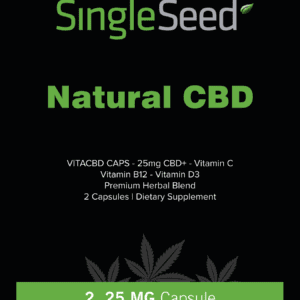 CBD has recently re-emerged onto the scene of medicine and recreational marijuana and is talked about now more than ever. So let’s pin down all of the best research and data surrounding CBD and it’s many benefits. One of the most common uses of CBD today is to treat anxiety. While hesitation to use cannabis because is often due to the paranoid feeling associated with THC, CBD actually works to counteract that feeling. CBD, in contrast to THC heavy strains of marijuana, has little to no psychoactive effects on the brain. You won’t get a ‘high’ from CBD but you also won’t feel anxious or paranoid. Numerous studies, including a 2015 study published by the US National Library of Medicine and National Institutes of Health, have explored the uses of CBD to treat anxiety-related disorders such as PTSD, OCD, generalized anxiety disorder and social anxiety disorder. Many of these studies have concluded frequent use of CBD “reduces experimentally induced anxiety in healthy controls, without affecting baseline anxiety levels, and reduces anxiety in patients with SAD”. The more research that is done and the more legal CBD use that is approved, the better. The opioid epidemic is one of the biggest problems in the US today. Reducing the need for prescription anti-anxiety drugs can help limit the dependency these potentially dangerous and even life-threatening medications inflict. CBD has been a buzzword in the world of cancer research and medicine for years now. One such important impact of cannabis to treat cancer is its ability to reduce the size and/or growth rate of certain tumors within the body. This groundbreaking impact is one of the most important for cancer researchers in decades. CBD, in particular, also has dramatic impacts on those going through cancer treatments. Cancer treatment is notoriously grueling, with nausea and loss of appetite cited as many of the most difficult side effects. CBD has been shown to work within the body to minimize that nausea and increase appetite, effectively helping cancer patients manage their treatment symptoms. Cancer is one of, if not the, most researched disease that plagues humans. Because it is such an unpleasant and fatal disease, extensive time and effort go into helping the inflicted each year. As a result, the discovery of CBD’s cancer fighting and minimizing impacts are extremely important to the medical world. Another common medical reason for taking CBD is for seizures in epileptic patients. Epilepsy is an incurable condition that causes nerve cell activity in the brain to become disturbed and the body to shake uncontrollably. Seizures can be dangerous on their own or dangerous because of where they occur. Though epilepsy is not curable, there are ways of managing the symptoms, including CBD. One of the very first cases of successful medical marijuana use involved the case of an epileptic girl who found some relief from ingesting marijuana. Since then, research around seizure activity and cannabis have been at the forefront of medical marijuana research. Today, there are many CBD studies that center around the positive impacts on epileptic patients or those that suffer from seizures for other reasons. CBD and pain are common combinations of buzzwords surrounding CBD research and internet searches, and rightfully so! CBD has been shown to help manage pain and inflammation brought on by a number of serious ailments including arthritis, MS, Parkinson’s disease and chronic pain. It has also been effective at reducing the less serious pain of migraines, menstrual cramps, and general muscle pain. The anti-inflammatory properties of CBD reduce the severity of symptoms and alleviate much of the pain. Taking CBD is a non-addictive, non-invasive, more affordable way to manage pain. While prescription drugs are effective at reducing pain, they can also come at a cost – literally – and over-time one can build a dangerous dependence on them. CBD research has expanded the possibilities of what we previously thought was possible from cannabis. From managing menstrual cramps to reducing the size of cancer cells, to limiting the severity of seizures, what can’t CBD do? CBD research shows no signs of slowing, with studies emerging each day on the amazing impacts that CBD has on the body. Stay tuned, stay updated, stay informed. There is bound to be a use for CBD that you can relate to – if you don’t already! Already convinced? 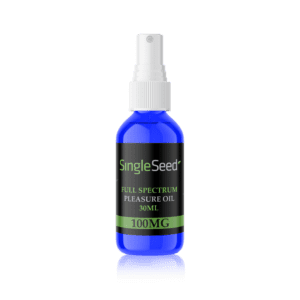 Start exploring the exclusive Singleseed products and see why this miracle “drug” has been making waves.